1834-64, 1867-72, 1874-75, ( Also Llanybydder). 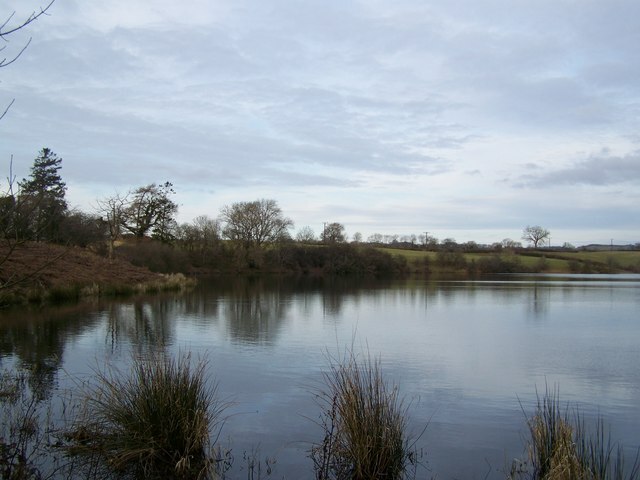 This acidic lake, a Site of Special Scientific Interest (SSSI) lies in the north-east quarter of the gridsquare to the north of Pencarreg village and is locally important for the diversity of wintering waterfowl and for the breeding of pochard. The lake has no inflow or outflow streams and is assumed to have an artesian water supply. The maximum recorded depth is about 10 metres (33 feet). Pencarreg is a village located in Carmarthenshire, West Wales, United Kingdom, 4 miles (6.4 km) to the south-west of Lampeter.